The future has never been more precarious or uncertain for thousands of international students in America as visas and job opportunities dry up in the Trump era. Immigrants have always faced formidable challenges upon arrival in America, often excluded from the credit and financial system and discriminated against in both academic and professional spheres. Yet the Trump administration has made the atmosphere more hostile than ever before, with businesses hesitant to sponsor work visas and fewer student visas being granted. International students are given more hoops to jump through and less promise of opportunity, and many are simply retreating home or choosing to study in other countries. The Trump administration’s hostility to immigrants has been felt in particular by international students recently, with an announced crackdown on immigrants overstaying visas. While much of the administration’s wrath has been focused on the border and illegal crossings, the crackdown signals a broadening of focus to deter immigration in other forms. 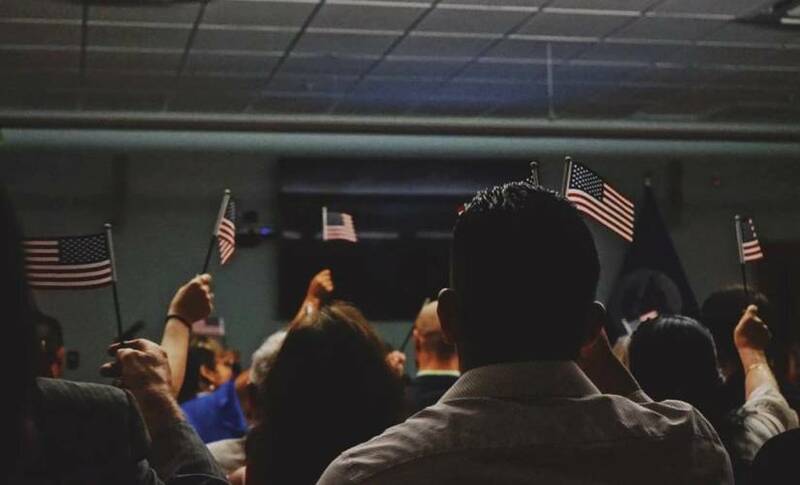 Student and exchange visitors have the highest overstay rate among nonimmigrant visitors to the US according to the Department of Defense, making them a prime target for immigration forces. This most recent broadside is only the latest in the ever worsening environment that international students face in America. F-1 student visas are growing harder to obtain and increasingly reserved only for the coveted STEM sector of students, and for those studying in the the most elite of American schools. Students applying for optional practical training (OPT) are granted OPT only at the outermost time limit and are left waiting for their status to change, unable to work or study. The uncertain status of the Deferred Action Childhood Arrivals Act (DACA)– once a reliable means of obtaining legal status for immigrants brought to America at a young age– has left DACA students frightened for their future. Meanwhile, F-1 students transitioning to H-1B work visas are also finding opportunity difficult to come by. H-1B visa seekers must be sponsored by an employer, and the Trump administration’s open hostility to immigrants has left many employers hesitant to sponsor. As with the F-1 visa, those outside the STEM fields are particularly vulnerable. Stories of F-1 visa holders with graduate degrees from prestigious American schools unable to find work after months of searching abound. This feeds the perception among recently graduated immigrants that they’ve become toxic to employers. Those who graduate from schools outside the top 10 or 20 institutions in the country fare even worse, and are increasingly forced to repatriate in the face of bleak circumstances. Many make the choice to return home if they are granted visas or OPT at the furthest time limit and are stuck waiting without any prospects. Others repatriate when family members seeking to transition from H-4 visas to F-1 or H-1B visas are denied. This newly hostile environment is only the latest hurdle that immigrants must overcome in their effort to build a life. The economic system makes it exceedingly difficult for immigrants to establish themselves in America. The newly immigrated need a place to live, transport, work, and money for daily expenditures, but little of this is possible without access to credit. Credit is dispensed based on one’s financial history, and since immigrants have none in America they are often denied credit wholesale. Without credit or a substantial financial history immigrants must pay steep premiums on everything from rent to phone bills. Furthermore, many things that citizens take for granted like in-state tuition are denied to immigrants, and immigrants often pay into social programs without ever benefiting from them. Excluded in large part by the big financial institutions, immigrants are forced to look elsewhere for the means to start their new life. Some startups like Stilt are filling the void created by these exclusionary practices and providing loans for immigrants based on factors besides credit and financial history. This approach takes future potential and other peripheral factors into account rather than fixating on metrics that immigrants cannot meet. Though the discourse and policy around immigration is always subject to change depending on presidential administration, the trajectory of current policy renders a grim future for international students. The few avenues towards legal status for immigrant students are diminishing along with employment opportunities, and further crackdowns on undocumented immigrants are poised to hit international students particularly hard. Outside of pursuing one of the STEM fields, international students can do little to insulate themselves but hope for a shift in the political winds.